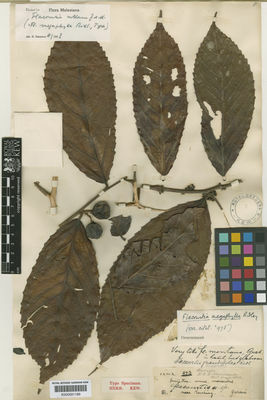 Genus: Flacourtia Comm. ex L'Hér. This species is accepted, and its native range is Nicobar Islands to Caroline Islands. Cook Is., Fiji, Hainan, India, Samoa, Thailand, Tonga, Wallis-Futuna Is. Banks, R.C. (ed.) (1982). Wildlife and wildlife habitat of American Samoa 2: 1-151. U.S. Fisch and Wildlife services, Washington.